Are you an intervention pull-out teacher with students who need reminders to come to your classroom? 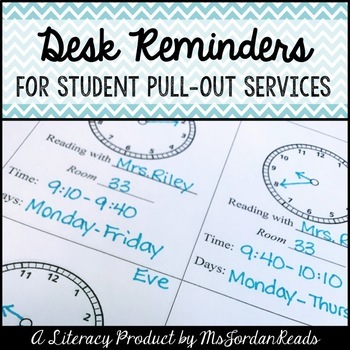 This desk reminder can be customized for each student's desk to build responsibility in remembering to come to the specific pull-out service. 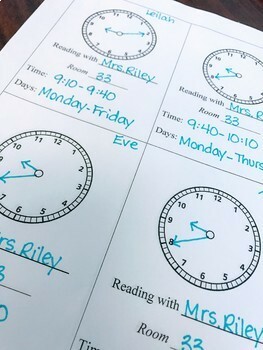 The clock-face allows for practice reading time, as well as knowing what to look for and when!